Register now for your free download and start transforming your designs into high-quality finished parts. Thank you for your interest. You will shortly receive an email showing where you can find resources to help you get started. 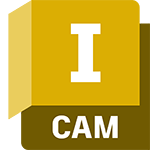 Note: Inventor CAM Express requires Inventor version 2015 to 2018. Note: HSMXpress requires SOLIDWORKS version 2015 to 2018. These resources can help you get up and running. Get product-specific or general Inventor CAM help in forums, tutorials, and more. Learn from videos, post your latest HSM project, or see what others are up to. Get product help from other users, or explore CAD/CAM discussion threads.